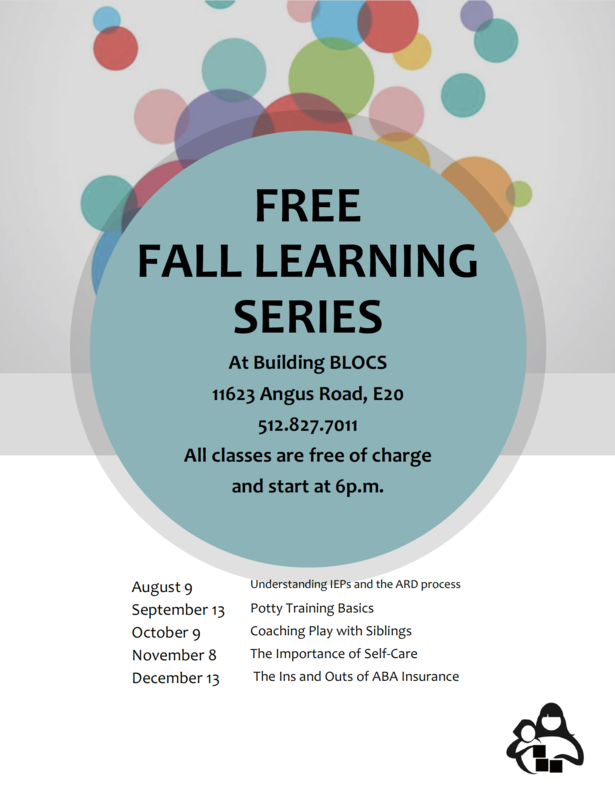 Building BLOCS is hosting monthly classes this fall. 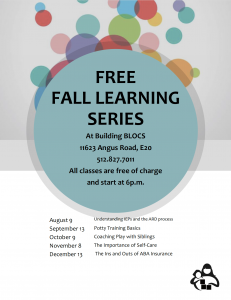 Our therapists will be presenting on a variety of topics including the ARD process, potty training, peer play, self care and insurance. All of the classes will be held in our gym at 6pm and they are free and open to families as well as others in the community! Check out the flyer below to read more about specific topics and dates, we hope to see you there!